So You Think You Can Mom? : Thankful For The Spot Gourmet! Thankful For The Spot Gourmet! This Thanksgiving was easily the most stress-free and relaxing Thanksgiving that I have ever had and I have the Spot Gourmet to thank for that. With my sister, and partner in the kitchen, spending Thanksgiving in Colorado, I was going to take on the task of preparing the Thanksgiving feast all by myself for roughly about 20 hungry people. I didn't even know where to start because my group of critics does not have the same food palette as I do. My favorite part of the Thanksgiving meal is experimenting with new recipes and serving up a variety of yummy casseroles. My extended family prefers a more traditional meal including a big bird and a few simple side dishes. I decided to scratch my list of menu ideas and turn to the Spot Gourmet in Glendale for help. I am so glad that I did! 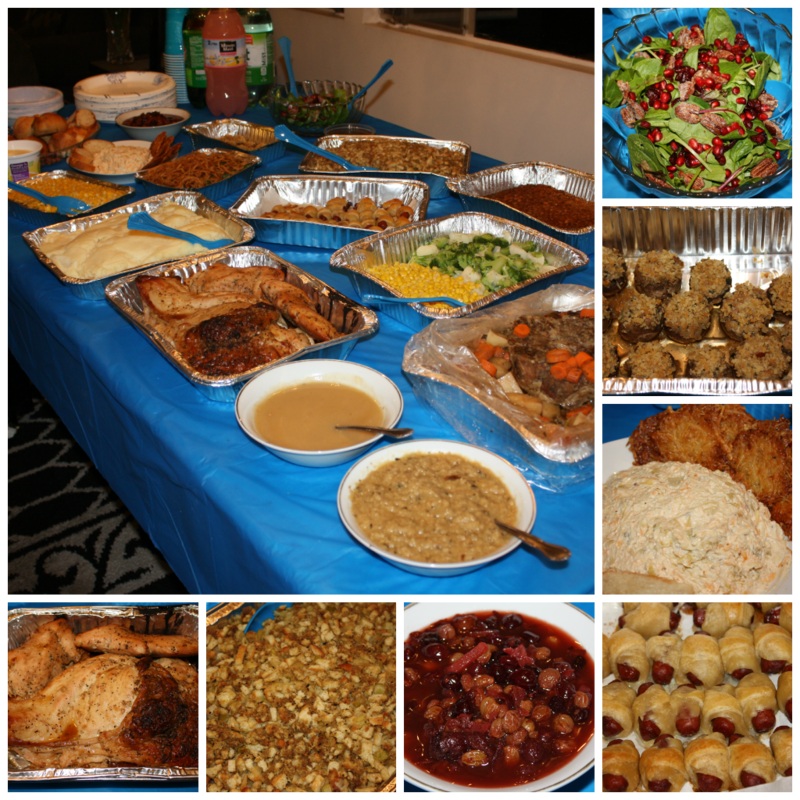 There was so much food! My Grandfather decided to call his friends and invite them over to get their feast on...sure...why not...we've got plenty! I had invited my dear friend Tee Burgess from That's IT! Mommy and her family to join us this year and I am so glad that they came. 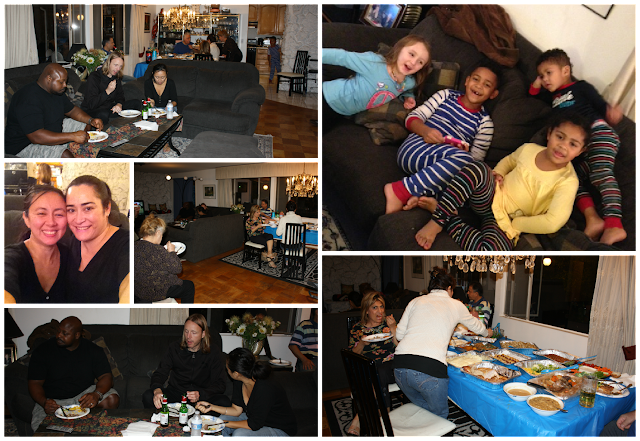 The kids had a blast playing together and we all had a great time chatting, watching football and stuffing our faces! 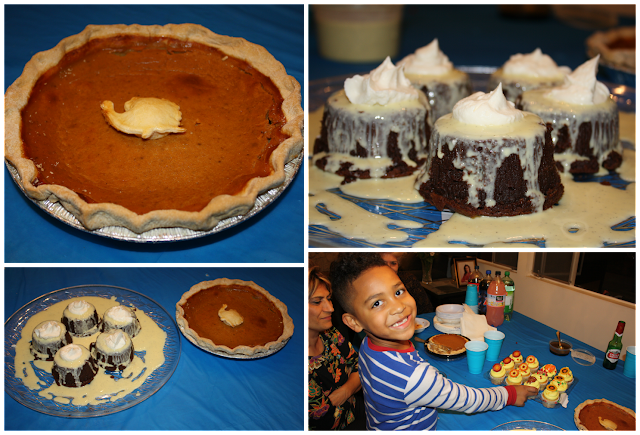 We barely had room for dessert, but once I placed it on the dining table, my son was the first in line to get a slice of Pumpkin Pie with Vanilla Whipped Cream! Dessert was just as scrumptious as the dinner. I saw smiling faces all around. I might have even heard a button pop! Everything about our Thanksgiving Dinner provided by the Spot Gourmet was just perfect. From appetizer to dessert, every bite was better than the first. I will definitely be calling on the Spot Gourmet again to make life a little easier for me! With Christmas just around the corner, treat yourself to something really special. What about a fully catered meal? If you would like to just sit back and enjoy the holidays with your family, give the Spot Gourmet a call and let them handle all the cooking. It's the gift worth giving and receiving! I am already coming up with excuses to call on them again and again. Private parties, birthdays, corporate events, weddings or just a movie night with your family. The Spot Gourmet even offers gourmet food to go and who doesn't love take out? Disclosure: I was not compensated for this post. I was offered services in order to facilitate my review. These are just my two cents! Great, now I'm starving! lol It looks sooooooo good! NICE! I need to check this out! Easy, and I could kick my feet up instead of being a slave to the kitchen. Wow this is tempting.... but my family might freak out if I did that. Glad you guys had such a great time. Wow! That food looks amazing! !